Dandelions are rich in potassium, a must have for many plants. The extremely long tap root uptakes valuable minerals and other nutrients from the soil. If you just toss them away, you are wasting an inexpensive, highly nutrient rich fertilizer. Read on to learn more. Dandelions are actually incredibly useful. Not only can you eat the tender young greens in the early spring, but later in the season, you can dry the larger leaves and use them for tea. The tight green buds can be eaten and the mature, fully opened blossoms can be used for jelly and tea. Even the milky sap extruded from the plant has been used topically to remove warts. If you aren’t into the edibility of dandelions and consider them noxious, you probably weed them out or dare I say it, poison them. Don’t do it! Make the effort to weed them and then turn them into dandelion fertilizer tea. 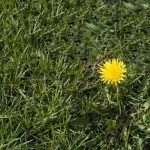 Using dandelions as fertilizer is a win-win. They get removed from areas of the garden you don’t want them in and you get a nutritious brew to nourish your veggies and flowers. There are two ways to create dandelion fertilizer tea, both similar. For the first method, obtain a large bucket with a lid. Place the weeds in the bucket, roots and all. Add water, about 8 cups per pound of weeds. Cover the bucket with the lid and leave for 2-4 weeks. Stir the mixture every week or so. Here is the slightly unpleasant part. There’s a reason for a lid. The mixture won’t smell like a rose. It is going through the process of fermentation and the aroma means it’s working. After the allotted 2-4 weeks, strain the mix through cheesecloth or pantyhose, saving the liquid and discarding the solids. If you want to avoid the straining part, the only difference in the second method is to put the weeds in a permeable sack and then into the water, sort of like making a cup of tea. Follow the 2- to 4-week waiting period. You can add additional weeds or even grass clippings, pruned off plant detritus, or aged manure to give the tea an even bigger punch. To use the tea, you need to dilute it in the amount of 1 part weed tea to 10 parts water. Now you can just pour it around the base of your plants or use it as a foliar spray. If you are using it on veggies, don’t spray it on those that are ready to be harvested.